The cost of insuring a house is a substantial part of the cost of homeownership. Like most other types of coverage, insurance underwriters price policies based upon the risk that they will assume. They consider factors like the house's age, location, and condition, previous claims made on the property, and of course, the home's value. Deductible: This is the amount of money that the claimant has to pay before the insurer will begin to pay for a covered incident. Obviously, policies with higher deductibles will cost less but could leave the homeowners paying more out of their own pocket when they need to make a claim. Coverage limits: This is the maximum amount that a policy will pay for a covered peril. Different kinds of coverage have different limits. Maximum coverage for the buildings should be based upon rebuilding costs. Depending upon the age and location of the house, these might be higher than the cost of simply buying a comparable house. Home contents might be covered for 50 percent of the limit for the entire home, says the Insurance Information Institute. Check to see if the policy covers home contents at replacement value. For some items, like jewelry, limits may even be lower. Liability insurance might start at $100,000, but some people may need more or should consider an umbrella insurance policy. An agent can help homeowners customize their Florida home insurance policy for their needs. Things that aren't covered: Standard Florida homeowners insurance won't cover floods and may not cover windstorm damage. For example, flood insurance must be purchased through the National Flood Insurance Program, but a typical agent can help with it. Some risks may require separate policies or an additional rider, so it's a good idea to speak with an agent to learn how to get fully covered. Read more about the importance of flood insurance. Besides coverage options and premiums, it's also important to find a financially stable company. After all, homeowners pay premiums to make sure that their insurer will be around to pay the bills after a disaster. The best homeowners insurance companies usually publish their financial ratings. Southern Oak Insurance has earned a Financial Stability Rating® of “A-Exceptional” from Demotech. This level of FSR is assigned to insurers with exceptional financial stability related to maintaining positive surplus as regards policyholders, liquidity of invested assets, an acceptable level of financial leverage, reasonable loss and loss adjustment expense reserves (L&LAE) and realistic pricing. Southern Oak also has over $336M in first storm protection reinsurance coverage from A-Rated reinsurers. What this means is that Southern Oak can not only protect its policyholders from a first major storm, it can also protect its policyholders from multiple storms as well. 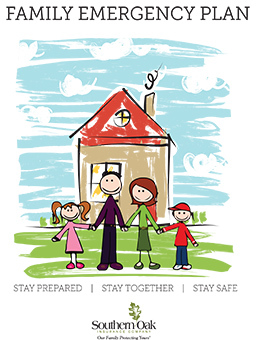 Make sure you're informed before you purchase a homeowners insurance policy. Want more free advice? 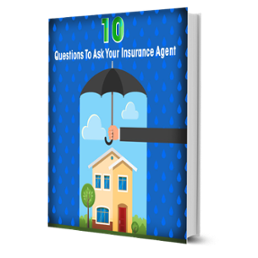 Click the image below to find out what questions you should be asking your insurance agent.